- None of the graphics, colors or layout is editable. - Simply open the file in Adobe Reader and type right over the current text. © Pink Pickle Parties │ © Pink Pickle Studios. All content & designs are protected under the US copyright laws. Please respect our work and do not copy or mimic our designs or content. All of our products are for your personal use only and cannot be resold, shared or given away. 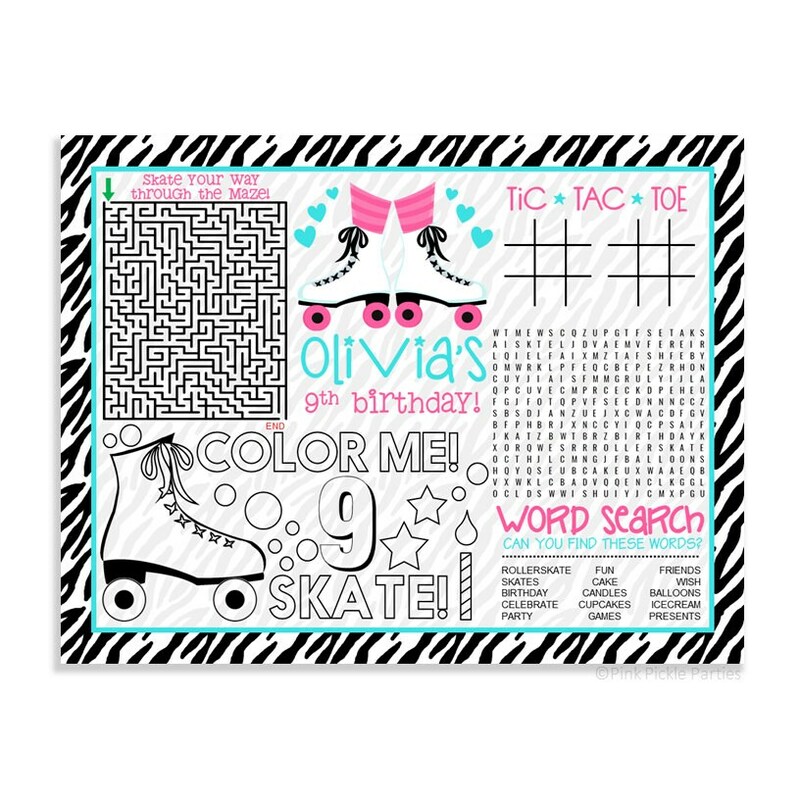 This was a great piece for a roller skate party!! The placemat matched my daughter's rollerskating party theme. It was perfect for the little kids that couldn't skate to keep them occupied. Very helpful in personalizing mat for my event. Turnaround time was very fast! !